What competitions you are joining? The AIPLA Giles Sutherland Rich Moot Court Competition is celebrating its 44th year in 2017. Named for a member of the United States Court of Appeals for the Federal Circuit who was the most distinguished jurist in the field of patent law in the world. This Competition requires students to argue novel and compelling issues in the world of Patent Law and beyond. UCLA School of Law Cyber Crimes Moot Court Competition is an annual external moot court competition, open to all law schools, exploring and probing cutting edge problems in the field of cyber law. The Moot Court Competition features an all-star panel of renowned cyber law experts to judge competitors’ oral advocacy and brief writing skills. TJSL Competitors, Ana Nino (3L) and Laura Fetto (3L) will entice the judges with thought provoking arguments on the new development in the practice of cyber law. Touro Law Center holds its 4th Annual National Moot Court Competition in Law and Religion. TJSL Competitors Antonio Estrada (3L), Brent Hamashita (3L), Jason Garchie (3L), Amna Khawaja (2L), Riley Harris (2L), and Zalpa Mandalaywala (2L) will present argument relating to the limits of the freedom of practicing religion. The semi-final and final rounds of the competition will take place at the Alfonse D’Amato United States Courthouse. United States District Court Judges and Magistrate Judges of the Eastern District of New York in Central Islip will be judging the semi-final rounds. What competitions have you done and how did you do in those competitions? The 2016-2017 season marks the 58th year of the Philip C. Jessup International Law Moot Court Competition. Jessup is the world’s largest moot court competition, with participants from over 550 law schools in more than 87 countries. The Competition is a simulation of a fictional dispute between countries before the International Court of Justice, the judicial organ of the United Nations. One team is allowed to participate from every eligible school. Teams prepare oral and written pleadings arguing both the applicant and respondent positions of the case. The National Moot Court Competition is an annual inter-law school event co-sponsored by New York City Bar Association’s National Moot Court Competition Committee and the American College of Trial Lawyers. Since 1950, we have promoted the appellate advocacy arts of intellectual rigor, legal research and persuasive argument. This historic competition allows student advocates to hone their appellate advocacy skills before prominent members of the legal profession. Every year, over 120 law schools compete in regional rounds throughout the United States, with winners advancing to final rounds at the New York City Bar. National Entertainment Moot Court Competition hosted by Pepperdine School of Law in Malibu, CA. Each team, consisting of two or three students, has the opportunity to argue novel entertainment law issues before some of the best entertainment lawyers in Los Angeles. Advocates are judged on speaking ability, structure of argument, preparation and familiarity with materials and law, and responses to questions. The USD National tournament provides advocates with the opportunity to argue challenging and timely issues related to criminal procedure before experienced and knowledgeable members of the California Bench and Bar. Previous final round judges include Justices of the Supreme Court of California and the Ninth Circuit Court of Appeals. The ABA Law Student Division National Appellate Advocacy Competition (NAAC) is a moot court competition that emphasizes the development of oral advocacy skills through a realistic appellate advocacy experience. Moot court competitors participate in a hypothetical appeal to the United States Supreme Court. The competition involves writing a brief as either respondent or petitioner and then arguing the case in front of the mock court. Patricia Paredes outscored the best oralist of the competition in one round. 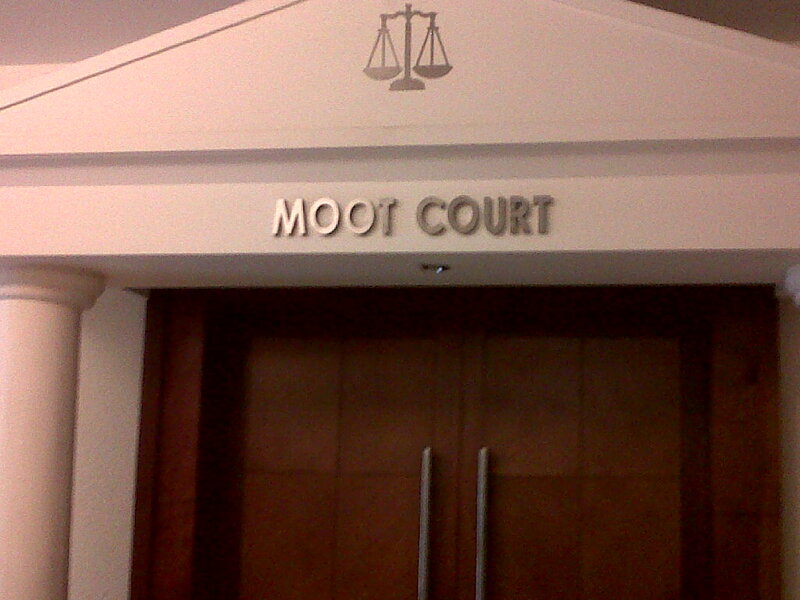 Thomas Jefferson’s Moot Court Honor Society strives for excellence as its members compete in various moot court competitions. Our plans for next year are to continue our legacy of excellence while promoting success in national competitions and developing personal and professional growth in our team members. We encourage all alumni and current students to reach out to us if you would like to help the Society as we represent TJSL in national and international competitions.